Lobster soufflé is a foodie's dream food. With a combination of a lighter than air egg mixture and the sweet buttery richness of lobster meat, it's perfect with a beautifully dressed salad made of fresh spring greens. The thought of making lobster soufflé may seem daunting, but it doesn't have to be. With knowledge of the right cooking techniques and quality ingredients, you can make a soufflé you'll be proud to serve. 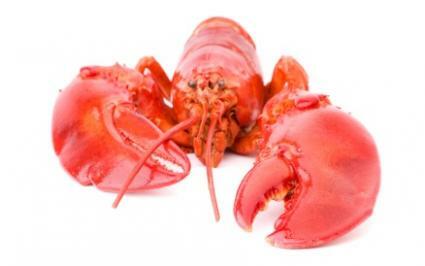 Since lobster is the star of the dish, choosing the best lobster meat is of utmost importance. While it may be tempting to choose canned or precooked frozen lobster meat for ease, this will be doing the dish a huge disservice. Select live fresh lobster and boil it instead. If you're squeamish about cooking a live lobster, use flash frozen lobster tails as a slightly less tender and flavorful alternative. Cook the tails under the broiler.Make sure that you don't overcook the meat regardless of the type of lobster you choose. Otherwise the meat will become tough, especially during the second cooking with the soufflé. Dice the lobster meat before incorporating it into the dish. As a rule of thumb, fresher is better, even with dairy and eggs. Since lobster soufflé is such an indulgent dish, you may want to splurge a little on your ingredients. Select sweet-cream, unsalted butter. Not all butter is the same; there are types of butter like Irish butter and brands like Plugrá that have a delicious flavor and luxurious feel that is superior to other butters. Give one of these a try if you can afford it. Use the freshest possible eggs. Eggs also play a prominent role in this dish, therefore the ingredient shouldn't be neglected. Grocery store eggs usually aren't very fresh, in spite of the expiration dates stamped on the cartons. Visit your local farm stand or farmer's market and use the eggs within a day or two of purchase instead. Bring the eggs to room temperature before using; cold egg whites won't beat as well as room temperature eggs. Select milk and cream that is fresh for best flavor. Use the following methods when you are ready to begin cooking your lobster soufflé. A roux is a mixture of flour, fat and liquid used for thickening. The trick with roux is to cook out any of the raw flour flavor. Simmer the milk over medium heat. Melt the butter in a sauté pan and cook until it begins to bubble. Whisk the flour into the butter and stir constantly for one minute until the flour just slightly begins to take on a blonde color. Slowly whisk the milk into the flour and butter, stirring constantly to incorporate completely. Cook over medium heat for another few minutes, until the roux is thickened. Reduce the heat under the roux to low and whisk in the egg yolks one at a time, blending until smooth. Stir in seasonings, lobster meat and cream until incorporated. Preheat the oven to 375°F and prepare your soufflé dish by buttering it. Now is the time to make your soufflé fluffy. Beat the egg whites until they are fluffy but not dry and carefully fold them with the other ingredients. Beat egg whites in a separate bowl until the whites are stiff. Use a rubber spatula and a gentle folding motion to fold the first 1/3 of the egg whites into the roux/egg/seasonings mixture until just combined. Add this mixture back into the remaining egg whites, folding it carefully until just combined. Pour the mixture into the prepared soufflé dish and bake it in the preheated oven for 20 to 25 minutes. You will know the soufflé is done when it is slightly puffed and brown on the top with a set center. Serve immediately.With knowledge of a few techniques and selection of the right ingredients, you can make a delicious lobster soufflé. Lobster soufflé is extraordinary. Serve this sophisticated gourmet dish to mark an anniversary, a birthday, or another special occasion that calls for more than an ordinary menu.